-The year 1990 was an interesting year in the world of music. Hip Hop was going through changes, and so was R&B. 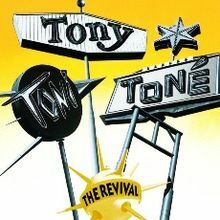 In the middle of the New Jack Swing era, you had stars like the New Edition guys, who would branch off during this year into separate projects, you had Tony Toni Tone releasing solid work, En Vogue making their debut, Whitney Houston reminding everyone she was still queen, Mariah Carey affirming herself, and Anita Baker counting her run of platinum albums. 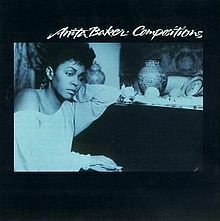 While 1990 wasn't the greatest year in R&B, it was a year with some landmark albums and a lot of great songs. Let's get into a look back at this year. 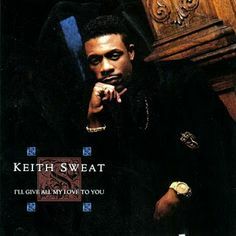 Since 1990 is the “real” beginning of the “golden era” of music, I’m not surprised that this particular year in R&B didn’t have much in the way releases, although one important debut was released and a couple other great releases. Here are the three that stuck out most and kick started the golden era (in R&B). I thank 1990 for one of my favorite female R&B groups of all time who debuted this year. 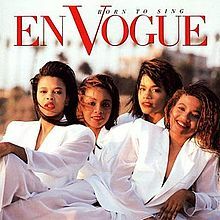 En Vogue released their debut album “Born To Sing” and they really were just that. Each member brought with herself a vocal talent that was not only fantastic on its own, but made the collective incredible. Their harmonization, smooth and sultry voices were the perfect pairing to their lyrics. “Lies”, “Hold On” and “Don’t Go” all landed them spots on charts that year and made En Vogue a force in the industry. They came with a poise that was unmatched. While this album wasn’t anywhere near perfect, it was a perfect way to start. They became the act to follow almost instantly by appealing not only to both genders but to all demographics. En Vogue dominated the 90’s and “Born To Sing” is to thank for that. 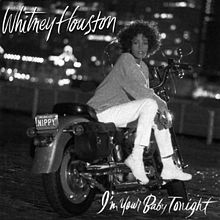 Whitney Houston graces us with her third studio album “I’m Your Baby Tonight” this year. We knew she was a legend and each release proved that to be true. Her vocal talent is undeniable. She’s a powerhouse and she has tremendous range and while this album didn’t have much in the way of classic songs, it was still a fun album. What fans know they can expect from her is emotion, and she gives us that on this album too on the track “Miracle” about a “lost love”; while songs like “All The Man That I Need” and “I Belong To You” convey the positive side. No matter what, Whitney Houston’s energy, charisma and personality carry her albums and although this wasn’t her greatest work, it was still a fantastic addition to the year and only allowed us to appreciate her later releases that much more. Another notable release is from Tony! Toni! Toné! with their sophomore project “The Revival”. These guys managed to bring the soulful, Motown funk to the '90's and they appealed to everyone! They absolutely nailed their sophomore project as the large majority of the track list is amazing. "It Never Rains In South Carolina" topped charts while "Feels Good" and "The Blues" and a couple others were also well received. Tony! Toni! Toné! truly served as an inspiration and influence for groups like Boyz II Men so they did something right. This was another great addition to the year! Although 1990 didn't have as many stand out releases as other years, it certainly served as a foundation for the greatest decade in music. In my opinion, these three albums in started the evolutionary process of the genre and each were influential in their own way. 1990 saw the rise of New Edition splinters that weren't named Bobby Brown. BBD dropped their classic album, you got Johnny Gill back on the solo tip, and you even had Ralph Tresvant dropping something in the mix. Additionally, you had triumphant returns from the likes of Janet Jackson, The Time, and Prince. If you don't have Thieves in the Temple as one of your top 50 Prince songs, I won't judge you much, but it's one of mine. As mentioned in my WIRTB of Prince's movies, the Graffiti Bridge album was miles beyond its movie counterpart, but how much further it was doesn't hit until you hear songs like Thieves and the track Prince wrote for Tevin Campbell, Round and Round. 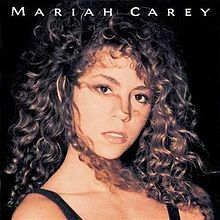 1990 also introduced us to a young woman named Mariah Carey. While she didn't exactly hit her full stride for another album, it was hard to deny her presence. Plus, just about ANY Mariah is legendary Mariah, when you really think about it. 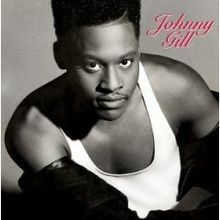 -For me, my favorite release of the year was Johnny Gill and his debut solo album, as he showed his range and his ability to carry an album by himself. 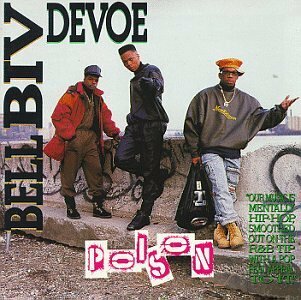 Of course, BBD dropped their landmark album Poison, and of course that dominated the charts. Ralph Tresvant also stepped up with his self titled album and a hit with "Sensitivity" for the year. If you're a fan of LA Reid, his former wife Pebbles also had an album release this year and for those familiar with her, she was a semi big artist in the era. Tony! Toni! Toné! released the classic album The Revival, and that would be a huge release on the year as well. While not the biggest year in the genre as I mentioned earlier, 1990 was still a good year and a formative one for what was to come.